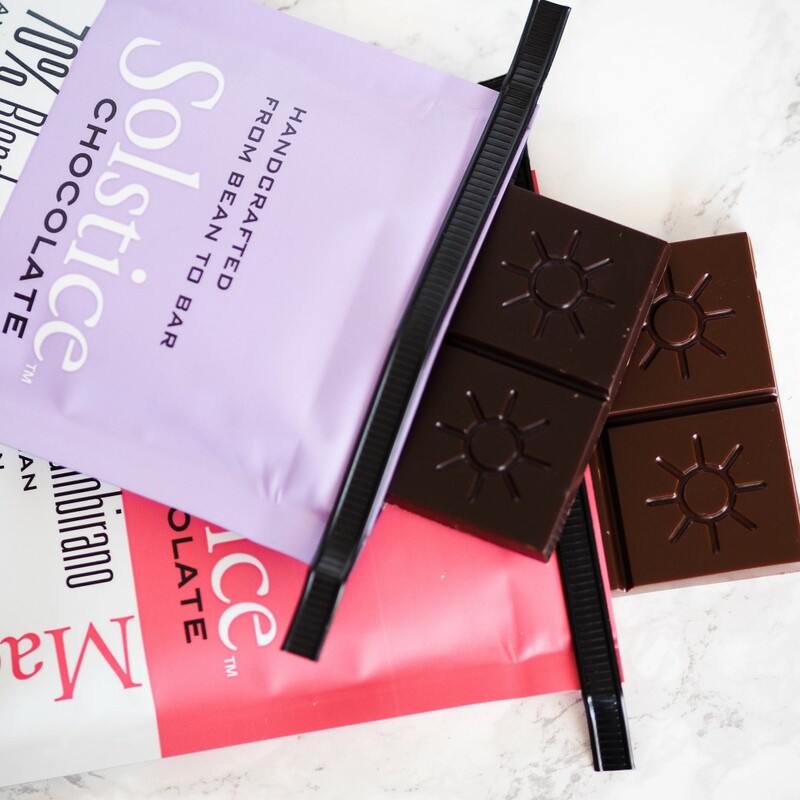 A Utah-owned business, Solstice Chocolate is a family-run business that uses organic ingredients to craft award-winning chocolate from bean to bar. Then, we sell it to businesses and chefs to make people happy. 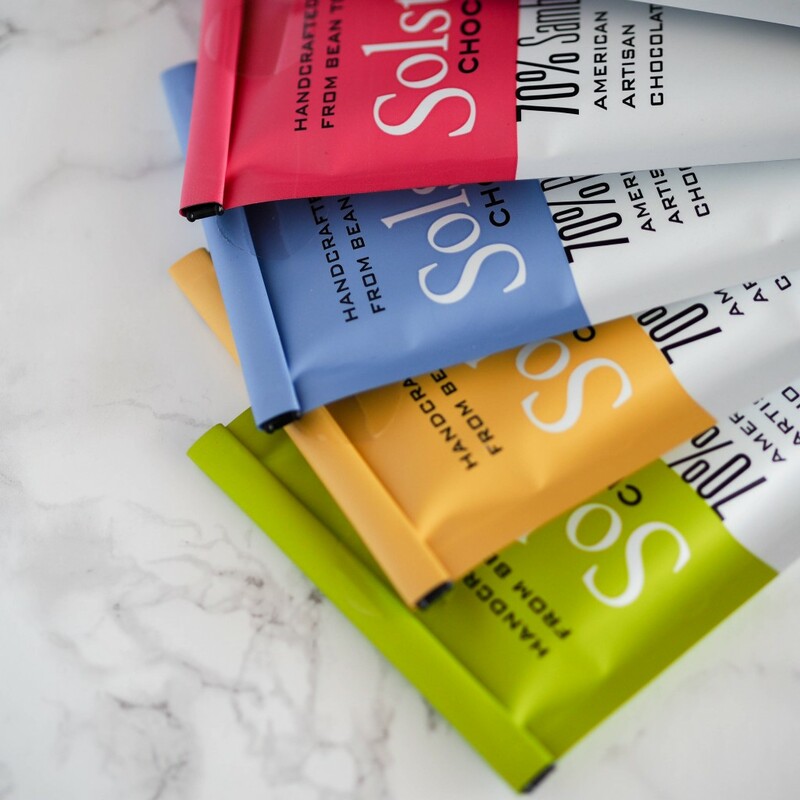 The best-tasting foods are handcrafted from the world’s best ingredients, and chocolate is no different. 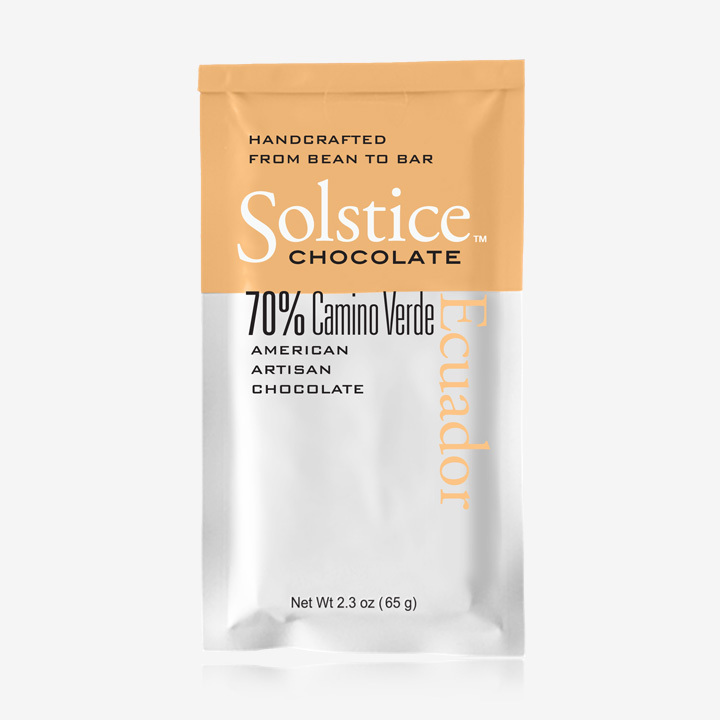 We use high quality, rare organic cacao beans processed with organic cane sugar and organic cocoa butter in extremely small batches. Each bar is hand-wrapped in 100 percent recyclable and resealable packaging. This meticulous craftsmanship is a labor of love and results in the most extraordinary American artisan chocolate bars available. Similar to coffee or wine, cacao beans possess inherent characteristics based on the variety and the conditions of where it is grown. Our artisans produce a variety of premier chocolate from cacao origins all over the world. We invite you to taste and discover the unique flavors of chocolate created from exotic select cacao beans. 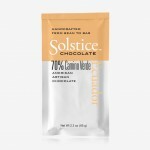 Best chocolate ever!!! I bought Boliva Chocolate bar, i wont buy any other bars again. Worth every penny. Great artisan Chocolate..Baking, ice cream, or just to eat a delicious choice. Really like the simple philosophy of high quality ingredients and making it right. The best chocolate ever!!!!! 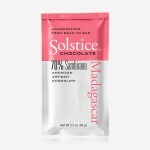 Nice Hustle Solstice Chocolate! Solstice Chocolate is a premier American, artisan chocolate maker located in Salt Lake City, Utah. 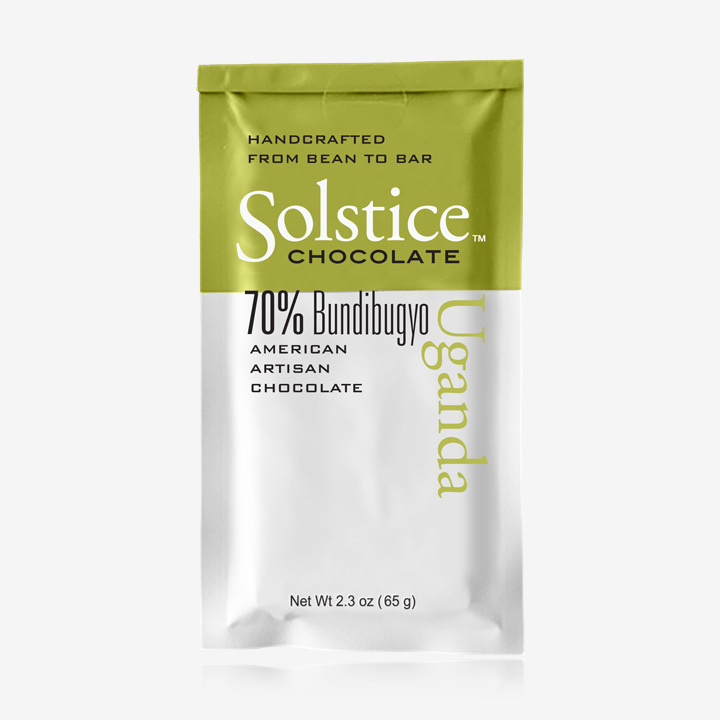 Our award winning, “bean-to-bar” chocolate is hand crafted from the finest organic cacao from around the world, sourced by owners Scott Querry and DeAnn Wallin, chocolate connoisseurs for more than 15 years. 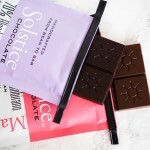 Our story of culinary chocolate tempering began with a simple discovery that a melted chocolate bar left in a hot car wasn’t ruined, but only that the chocolate had lost its temper. That discovery, along with our discerning taste for gourmet chocolate, led us on a lifelong pursuit to master the art of chocolate making and tempering. Since then it has been our passion to find the most exotic cacao beans and produce the most memorable chocolate available. 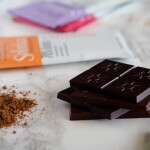 This entry was posted in Food and tagged candy, chocolate, cocoa, salt lake city on March 22, 2017 .